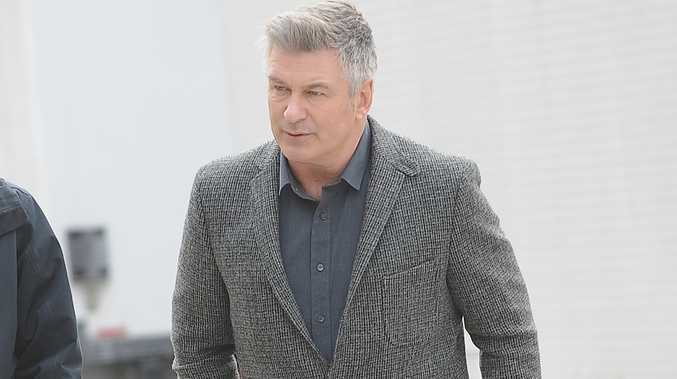 ALEC Baldwin's arrest was an "unfortunate situation," according to New York City's Mayor. The 56-year-old actor was handcuffed and taken away in a police car on Tuesday (13.05.14) after he was caught riding his bicycle the wrong way down Fifth Avenue in Manhattan, before going "ballistic" at the two arresting female officers. But City Mayor Bill de Blasio voiced his support for the former '30 Rock' star on Wednesday (14.05.14) and told the New York Post's Page Six that the actor had some "important and thoughtful things" to say about the city in his rant on Twitter following his arrest. Alec was taken into custody and given two summons, one for traffic violation and a second for disorderly conduct, after he failed to provide identification following his arrest. He was released shortly afterwards and shared his account of the incident on his Twitter page, writing: "Officer Moreno arrested me and handcuffed me for going the wrong way on Fifth Ave."
The actor also used the opportunity to lash out at police for failing to protect his wife, Hilaria, and their eight-month-old daughter, Carmen, tweeting: "Meanwhile, photographers outside my home ONCE AGAIN terrified my daughter and nearly hit her with a camera. The police did nothing. (sic)". Alec also has 18-year-old daughter Ireland from his previous relationship with Kim Basinger.